You can see it clearly in your dreams: A beautifully finished basement with space for a bar, a pool table, the kids’ toys, and an extra bed for when Aunt Marj visits. Yet that damp, musty smell prevents you from confidently moving forward. 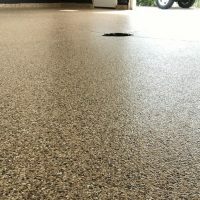 Finishing your basement means facing the fact that moisture lurks everywhere, and basement floors are no exception. 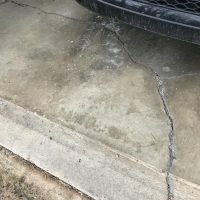 As a result, many flooring options aren’t suitable for basements and cause part of that “basement smell” that’s sure to make Aunt Marj complain. Don’t worry, we have a solution! But first, let’s look at common flooring options and the problems they present in your basement. For many of us, sinking our toes into the warmth of carpeting entices us to consider putting it in our basement family rooms. Carpeting is a very problematic choice, however. 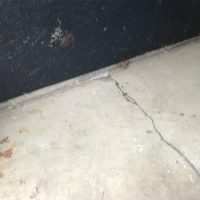 As the experts at Green Building Advisor explain, “Many basement concrete floors don’t have a capillary break or vapor barrier installed underneath them and evaporate what can be quite a bit of water off of their surface, water that is wicking from the soil up through the concrete.” The result is water wicking up through the carpet. You might not be able to feel the dampness in the carpeting. Nonetheless, it makes your basement carpeting the perfect breeding ground for dust mites and mildew. 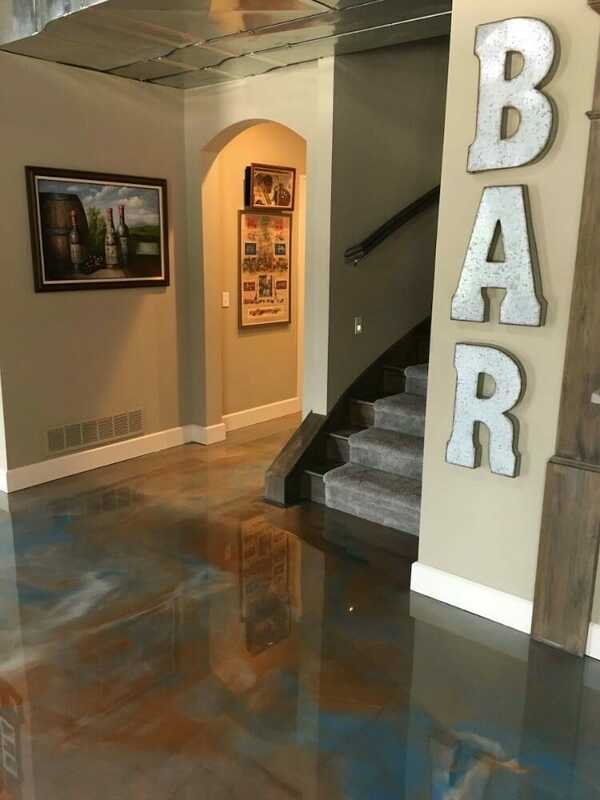 Placed directly over a concrete slab, ceramic tiles can look beautiful in the basement! However, they require a lot of effort to maintain. 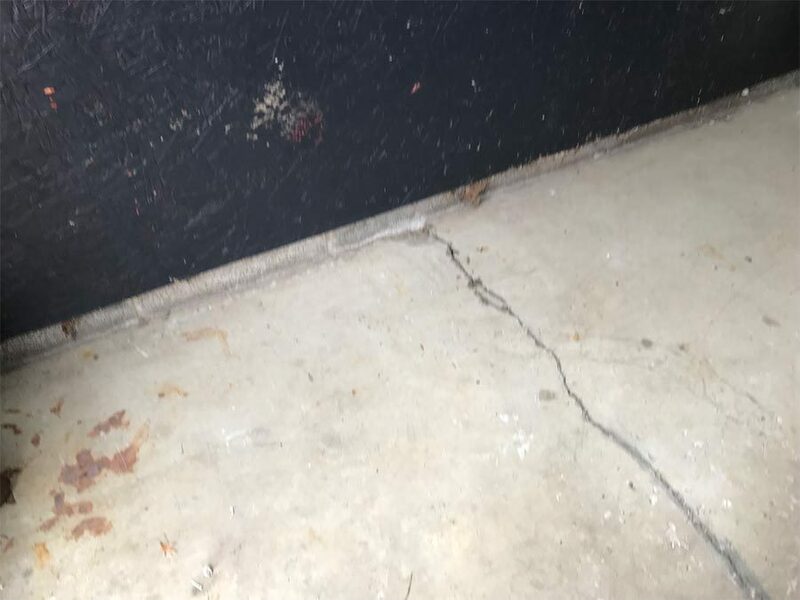 The high humidity and moisture of basements will mean you’ll have to clean and seal your grout regularly. Otherwise, you could end up with grout lines stained with dirt, spills, and even mildew. Also, ceramic tiles can be very cold and slick. Ultimately, even though ceramic tiles are technically suitable for basements, they aren’t without their downsides. Today’s vinyl flooring options can imitate hardwood and ceramic tiles. In addition, they easy to install for DIYers. Yet they come with problems that should make homeowners question their value. First, installation is trickier than one thinks. 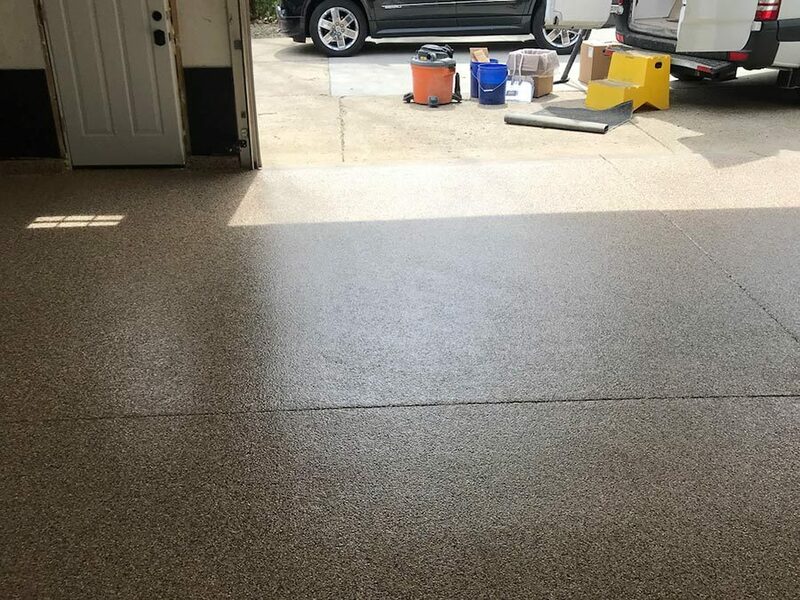 Because vinyl is a relatively soft material, the subflooring must be perfectly clean and smooth before installation. 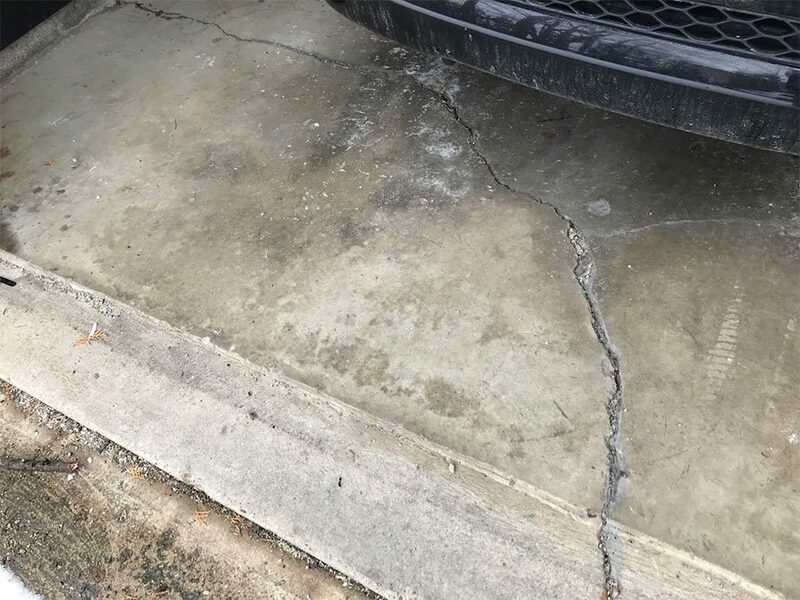 Even small dirt particles can get pressed into the vinyl and create bumps and eventually tears in the vinyl. Likewise, the vinyl is easily damaged. If Aunt Marj drags a chair across it, the chair’s legs could leave lasting scratches that open later into tears. Those tears are difficult to repair easily, too. Finally, vinyl emits VOCs—that is, Volatile Organic Chemicals—into your household. Since basements typically aren’t well ventilated, this out-gassing can be very problematic for allergy and asthma sufferers. Thus, we don’t think the short-term improved appearance vinyl floors offer outweigh these negatives. 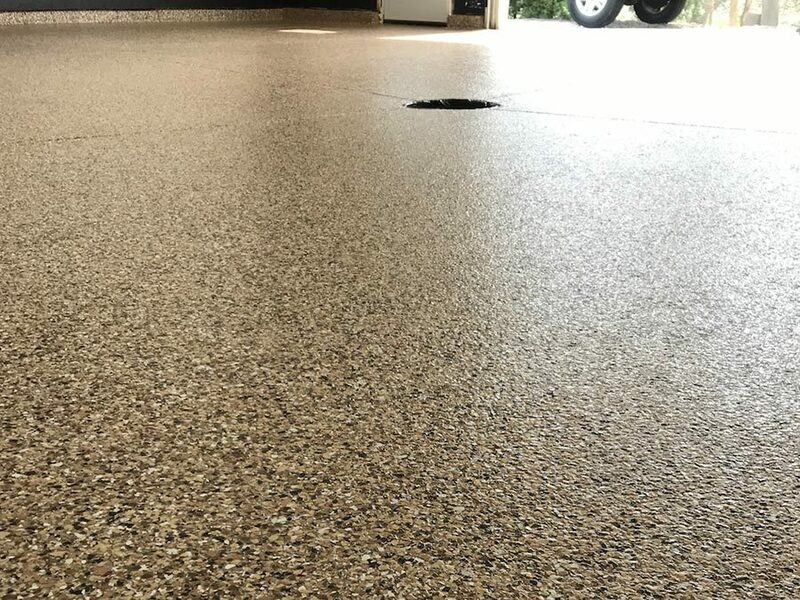 A basement floor that is beautiful and long-lasting is possible! 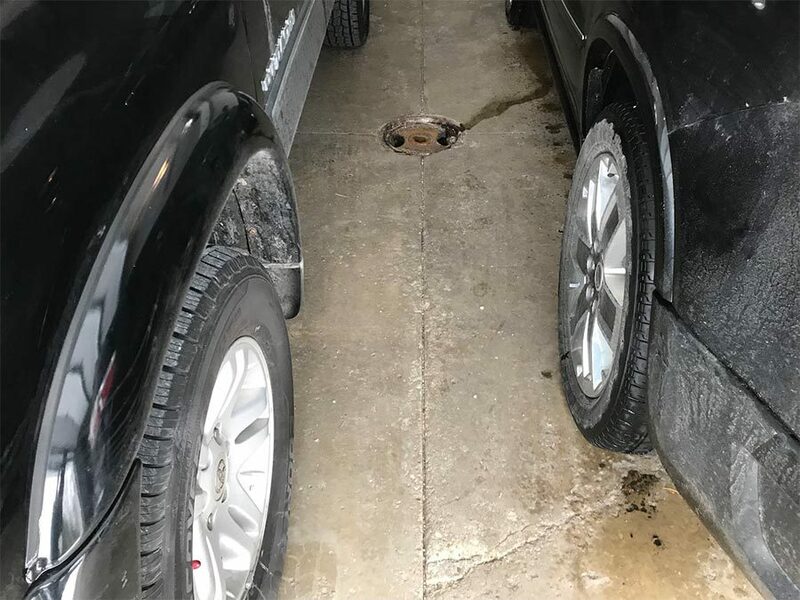 Ohio Garage Interiors can install a non-porous flooring solution in your basement. 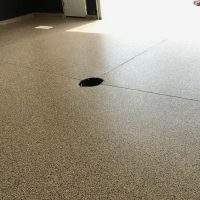 Unlike other products that are made from epoxy and natural stones, our flooring is made from a highly durable polymer. 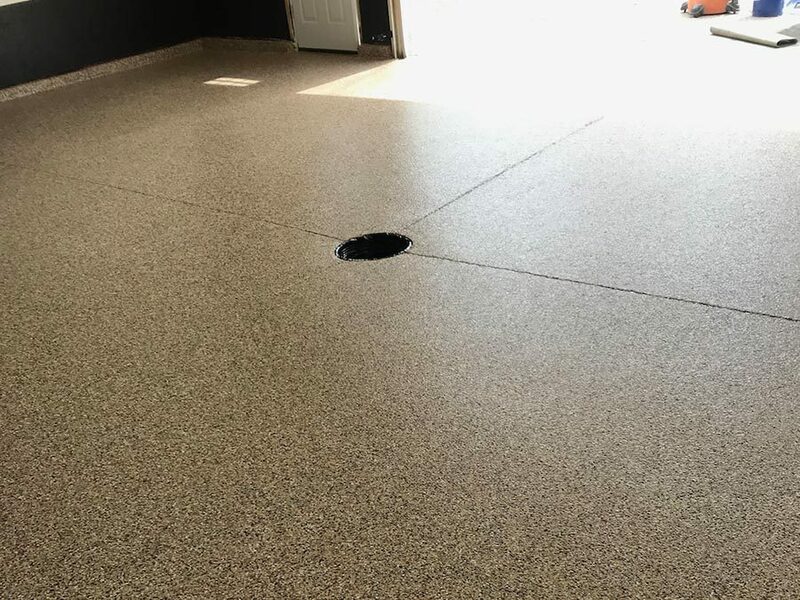 As a result, they are four times stronger than these other epoxy flooring options. Our floors don’t require the annual maintenance and re-sealing like those other natural stone epoxy floors, either. Just clean with a mop and you’re good to go! The design options are endless, too. With hundreds of various flake colors, patterns, and size combinations, we can create floors to suit any style. Still want that natural stone look without the hassle? We can do that! If a smooth, shiny floor is more your style, our metallics can answer the call. Color-blocked tiles make you swoon? We can accomplish that look, too! 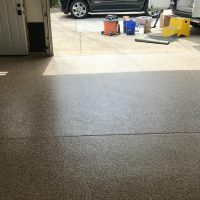 Aunt Marj will appreciate that our coating system gives our floors great slip resistance. Everyone in your home can breathe easy, too, because our materials are non-toxic and emit zero VOCs. Finally, our non-porous flooring means no place for mold and mildew to hide. Finishing your basement is a wise investment! When you decide it’s time to sell your home, you can expect a return of 75 cents on every dollar spent. Now that’s a good ROI! 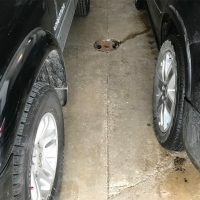 When not done properly, however, basement renovations become stinky messes! Start your basement renovation off right with our flooring. To get started, request your FREE in-home consultation today! Chad or Scott will be happy to visit your home to take measurements and discuss the possiblities.